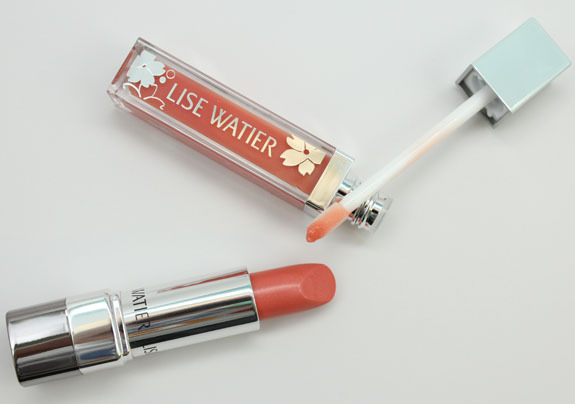 Lise Watier is a brand I am just now becoming familiar with, and I am SO glad about it! 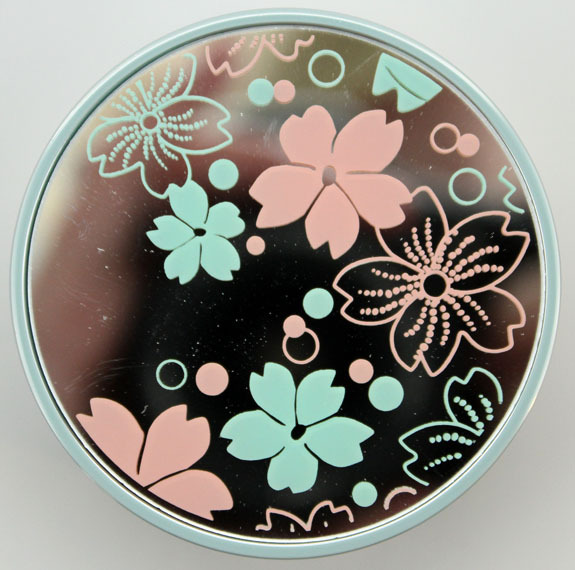 I have most of the pieces from the collection which includes the Quatour Pastel Power Eyeshadow Quartet, Pink Power Blush, Pastel Power Illuminating Beads, Eye Shine in Vert Sarcelle, Rouge Plumpissimo in Corail Punch and Power Kiss Gloss. 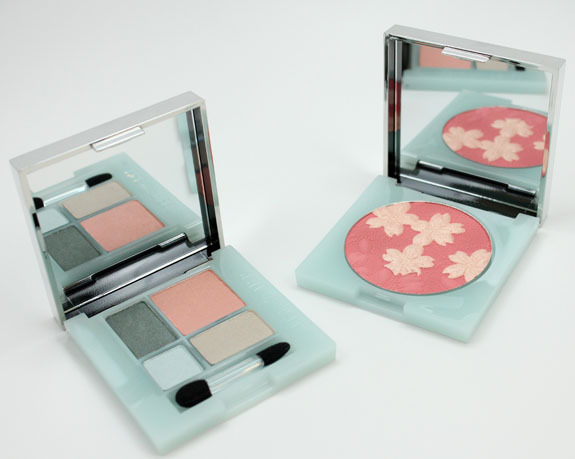 The Quatuor Pastel Power Eyeshadow Quartet is a really pretty palette not only in design, but the shadow shades are very feminine and go really well together. 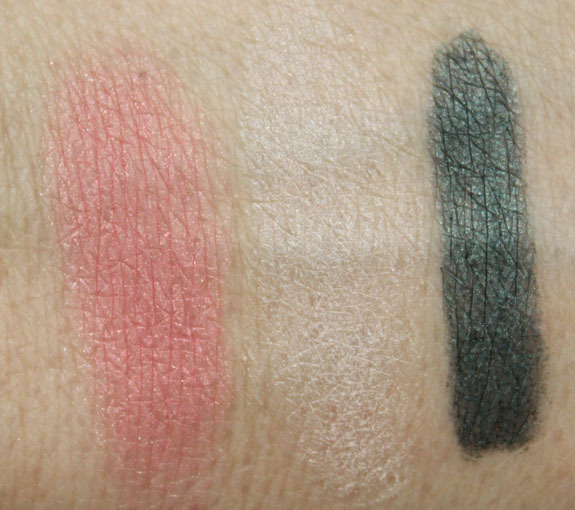 The first shade is a deep cool-toned greyed out green metallic shimmer. Pigmented and really quite a unique green. Love this one. 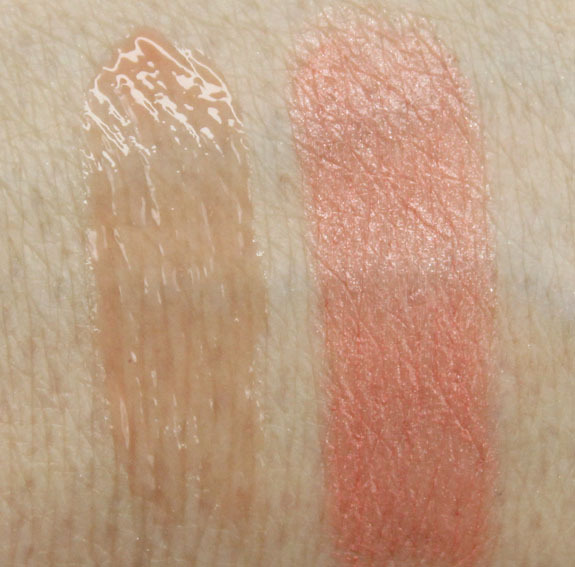 The second is s light peach with shimmer. Third is a pale whitened taupe shimmer. Finally there is a very pale icy blue shimmer. 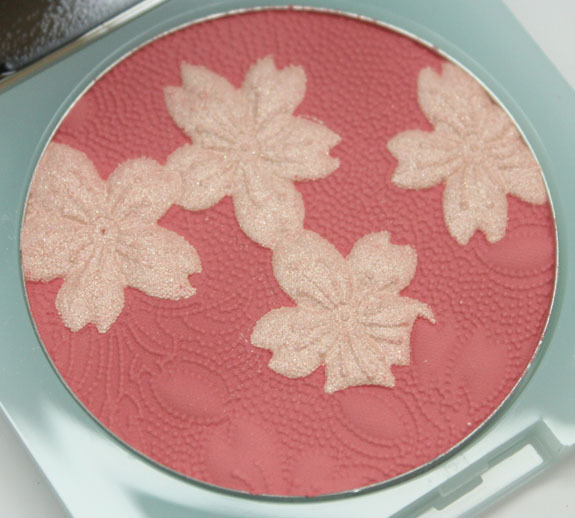 Pink Power Blush is an intense shimmery medium pink shade. Nice pigmentation, and such a great design. I hated ruining it! 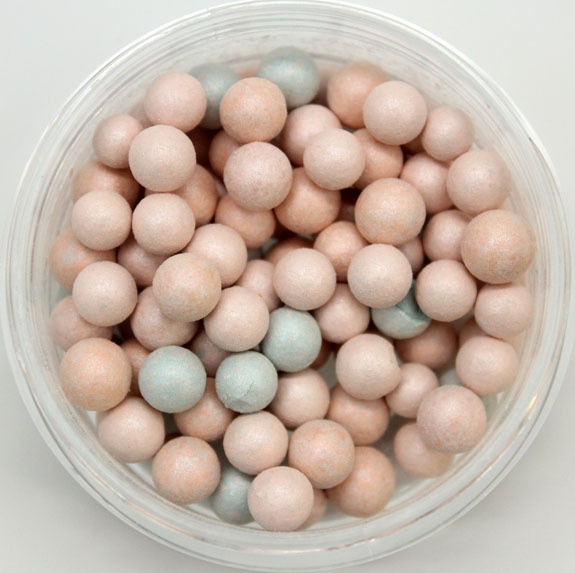 Pastel Power Illuminating Beads come in soft pink and blue and combined together they create a soft pink shimmer. 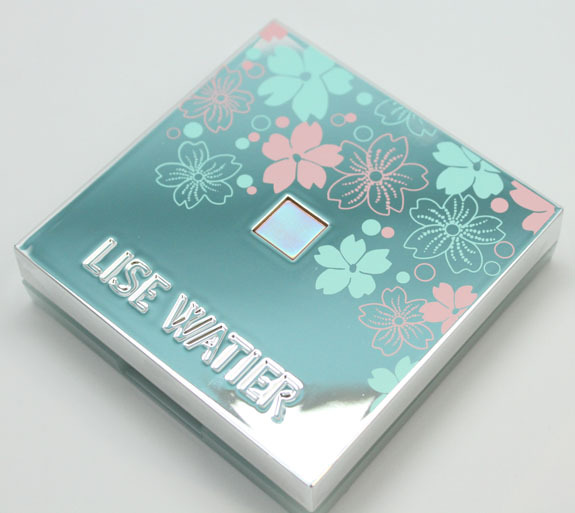 Great for those looking for a very cool-toned illumination on their skin. 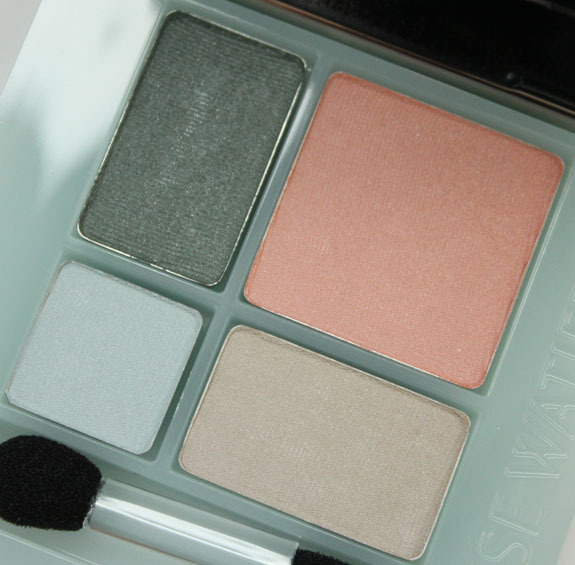 Eye Shine in Vert Sarcelle is a gorgeous green that matches the eyeshadow in the quad really nicely. Very soft and great payoff. 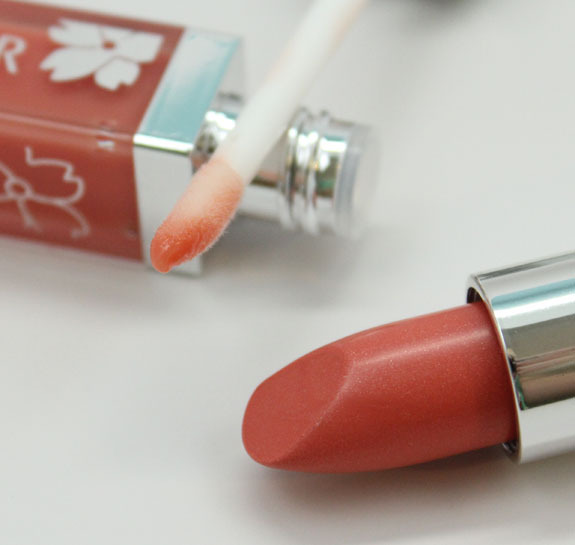 Power Kiss Gloss is a sheer coral shade. It has a really pleasant scent, but not a whole lot of color. Not sticky at all though and shiny. Rouge Plumpissimo in Corail Punch is a very pretty cool shimmery coral shade. It’s very light, but you get nice pigmentation from it. It does settle into lip lines a little, but the color is so nice I don’t even care. Nicely moisturizing and lasts a couple hours. Overall: Well I am very happy that I have been turned onto this brand now. This collection is really nice. Not only is the packaging to die for, but the products all feel really nice and luxurious. 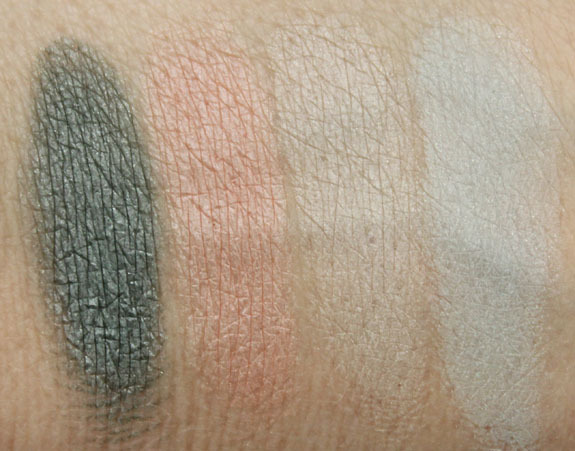 The eyeshadow quad is my favorite thing because I just love these shades together. And that green! The green liner is also excellent. Availability: Their US site is here. 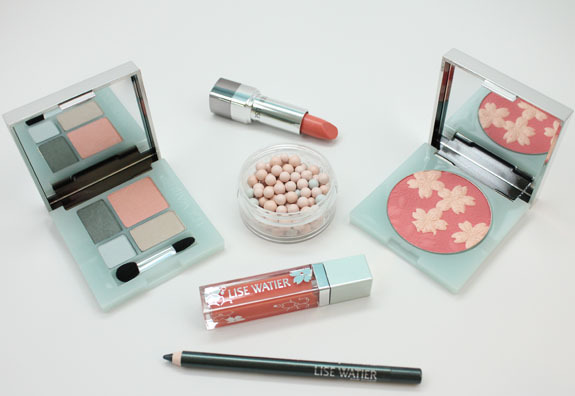 Have you tried anything from Lise Watier yet? See anything here you love? 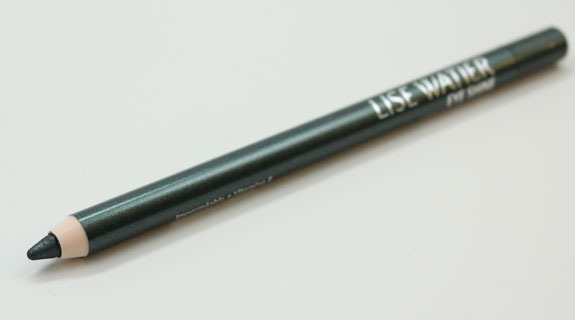 Note: Lise Watier is cruelty free.